Everybody be cool! 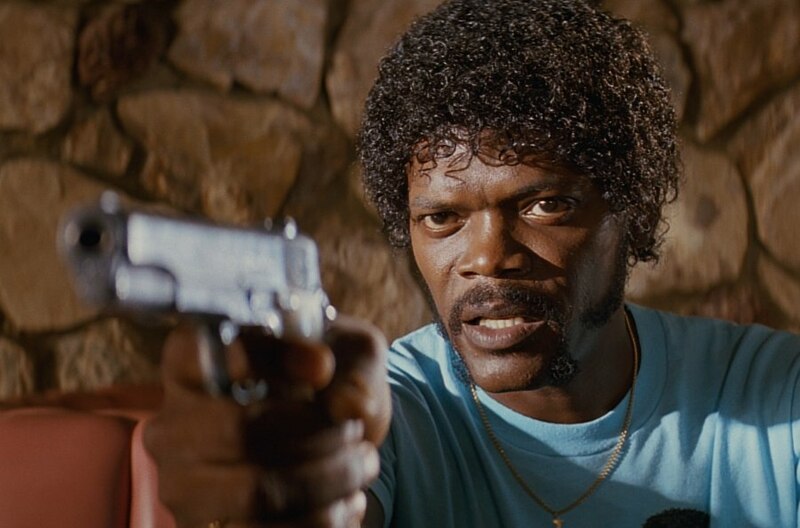 As winter sets in, we near the end of the 20th anniversary of Pulp Fiction, one of director Quentin Tarantino’s earliest and most acclaimed films. 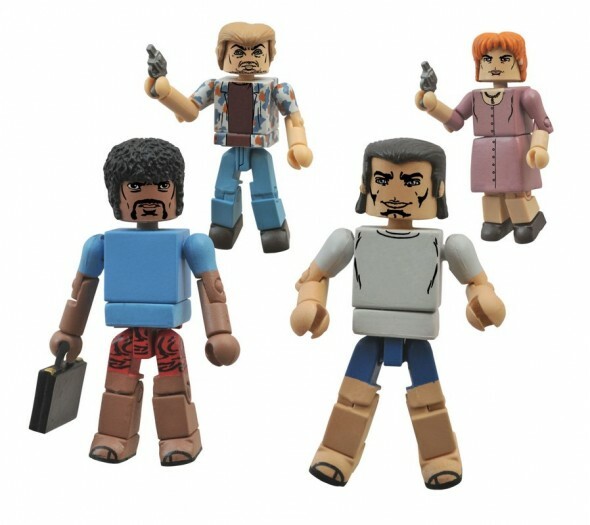 Pulp Fiction remains a work of art, with endlessly quotable dialogue, intertwining plot lines (and timelines) and inspired performances by a stellar cast, and Diamond Select Toys has been been honored to translate, chapter by chapter, the world of Pulp Fiction into the language of Minimates mini-figures. 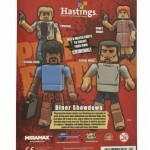 Now, a brand-new Minimates box set has been released exclusively at Hastings stores and on GoHastings.com! 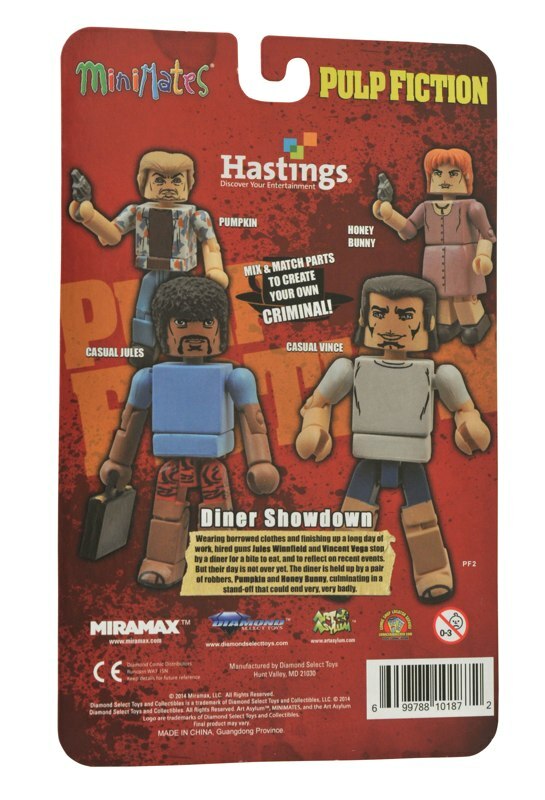 The new box set, entitled “Diner Showdown,” includes main characters Jules and Vince (played in the film by Samuel L. Jackson and John Travolta) in “casual” T-shirts and shorts, rather than their trademark suits. The pair face off with robbers Pumpkin and Honey Bunny (portrayed by Tim Roth and Amanda Plummer), who decide to rob the diner they’re all in at exactly the wrong moment. 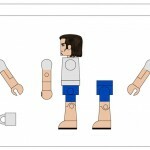 Each figure stands 2 inches tall with 14 points of articulation, and fully interchangeable parts. Accessories include the mysterious briefcase Jules and Vince are bringing to their boss, two coffee mugs, two pistols, two snub-nosed revolvers, a shouting head for Honey Bunny, four clear display stands and a spare set of empty hands for Jules. 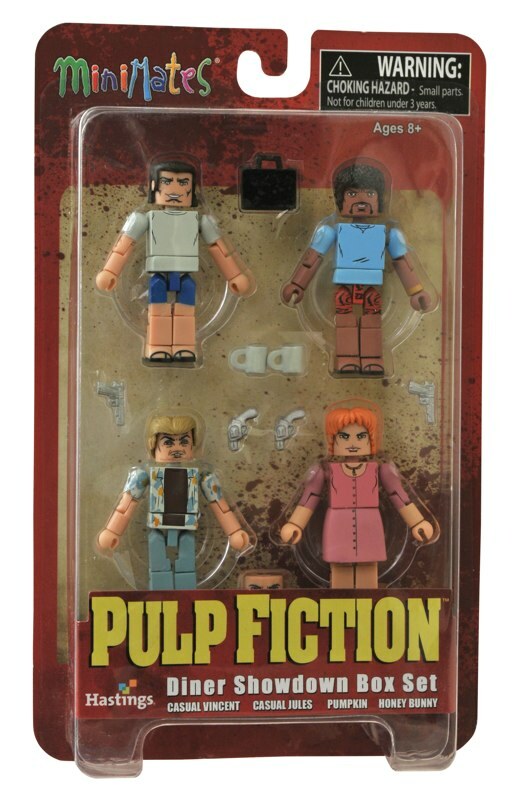 This set joins the Pulp Fiction Minimates 2-pack, with Jules and Vince in their suits, and the Vince and Mia’s Night Out Box Set, with Vince, Mia Wallace, Lance and Jodie. Upcoming box sets include the “Bonnie Situation,” with Bloody Vince, Bloody Jules, Jimmie and Winston Wolf, and a set featuring Butch, Marsellus Wallace, Zed and the Gimp. 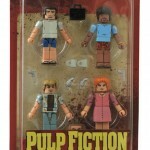 Sets based on Tarantino’s Kill Bill are also available. 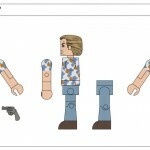 Minimates have a long history with the movies, including sets based on such famous films as Back to the Future, Ghostbusters, The Terminator, Aliens, Marvel’s The Avengers, Star Trek II: The Wrath of Khan, Sin City, The Lord of The Rings, Rocky, Platoon, A Fistful of Dollars, Desperately Seeking Susan, Game of Death and Crouching Tiger, Hidden Dragon.